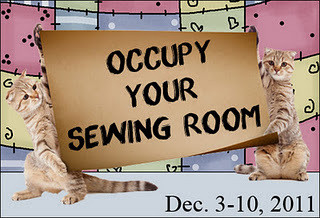 alidiza: Occupy Your Sewing Room! Last week Barbara from Cat Patches hosted this event. I was too busy making cookies but this week I was able move in and get some serious sewing time. Better late than never! 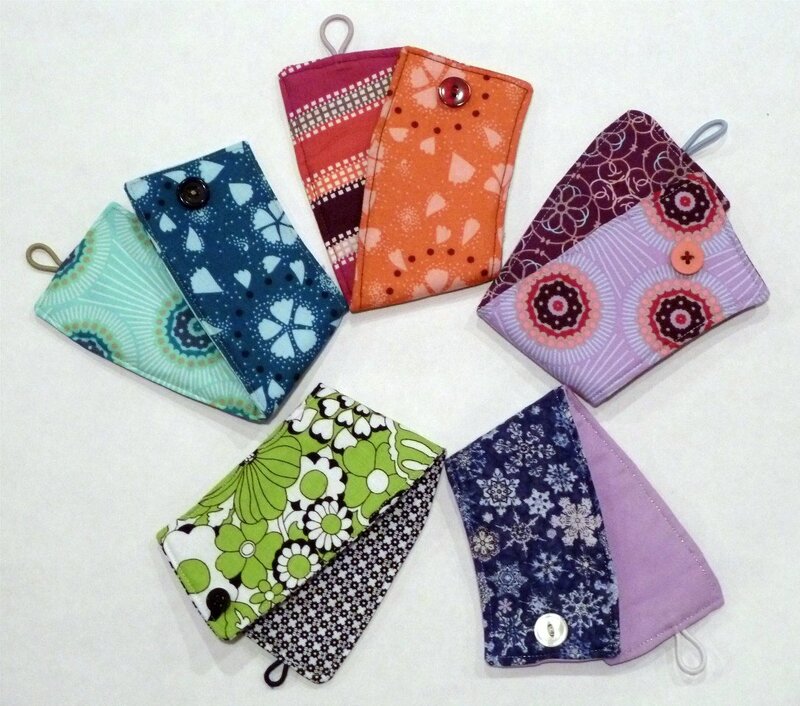 First up I made some more cup cozies to give as teacher gifts. I love making these, they're so quick and easy. I made my own pattern using a paper Starbucks sleeve but Erin at House on Hill Road has this fabulous tutorial if you need more directions. Then I got to work finishing up this Bento Box table runner. This was yet another prototype for my BMQG kitchen swap gift. I was laughing because someone else had posted about their "Joy of Quilting" moments, which perfectly sums up how I felt when I was basting this and realized I had sewn the blocks together in the wrong order. Being me I had to unbaste, unsew, and fix it. I also finally basted my Pips zig-zag so it's ready for quilting. My goal for January is to finish up some of my lingering WIPs so I've been trying to get them organized and ready to move. I expect I'll have plenty of cold, snowy days where I don't want to leave the house so this will be perfect for some mindless straight-line quilting with a good movie!